With the moniker "Use Your Noodle," Pasta Straws claims they hold their strength and shape in cold drinks plus will decompose virtually overnight after being discarded. Starbucks is getting rid of straws. Seattle is banning the use of straws. Teresa May is proposing England ban straws. It seems the trend is that everyone is getting rid of straws. 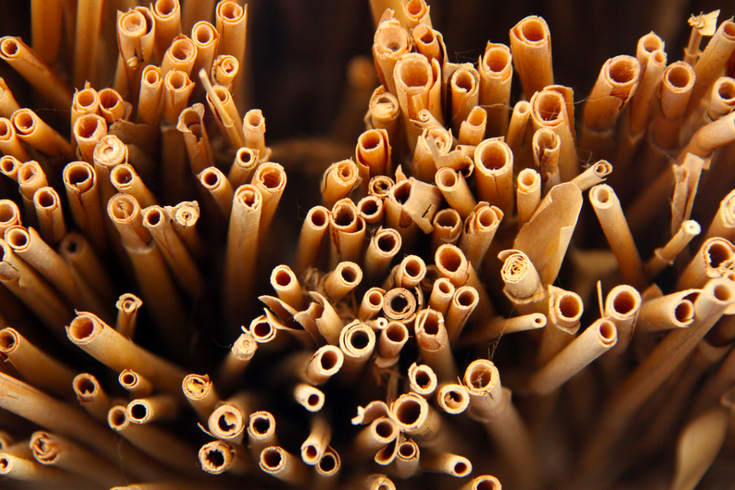 But something different is coming up that’s changing the way we use straws: pasta. That’s right. Pasta is taking over the plastic straw. They’re biodegradable and hold their shape better than paper straws. This trend is even taking off in England. When plastic was banned in Malibu earlier this year, Paradise Cove Beach Cafe came up with the idea to use bucatini pasta as a straw. The owner, Bob Morris, then took that idea and started a businesses called PastaStraws. These straws are available in premium or regular and start at about $64.90 for 1,000 straws or $6.90 for a sample of 24 straws. While pasta straws will be great for the average population, they do present a challenge for those who are allergic to wheat or have celiac disease. For those with these conditions, wheat or gluten cannot be in or around anything that is to be consumed. While PastaStraws is in the process of making a gluten-free version, the problem remains convincing restaurants to have and purchase two different types of pasta straws. But if you don't have an allergy, you can check out PastaStraws here to consider making the switch from plastic to pasta.